Need some help with your search engine optimization? We recommend this dedicated plugin: Yoast SEO, which is the original WordPress SEO plugin since 2008. It is the favorite tool of millions of users. With Yoast SEO, you get a solid toolset that helps you aim for that number one spot in the search results. 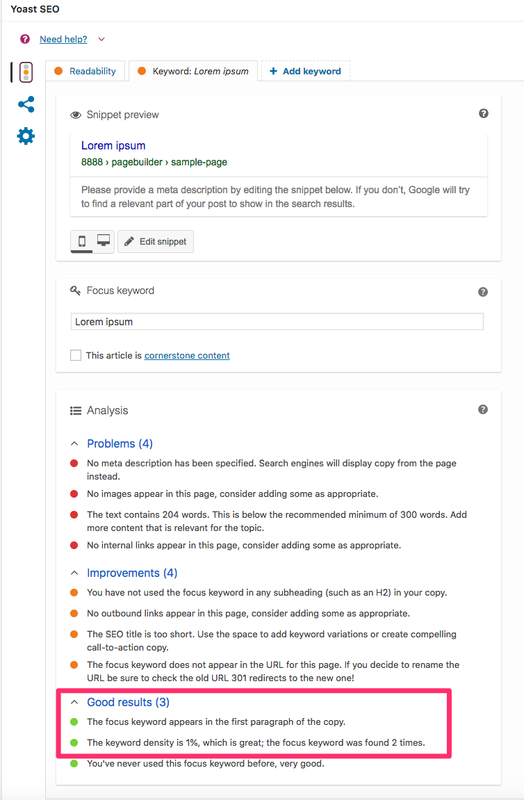 The Yoast SEO is built to read the content from the classic backend WordPress editor. 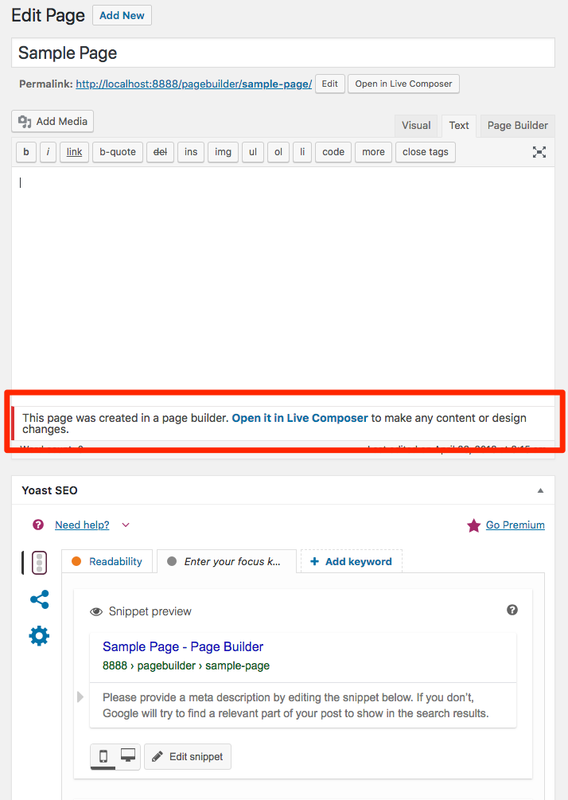 The Live Composer page builder has built-in compatibility integration with the Yoast SEO. However, in order to have the plugin reading correctly the front-end content, you need to follow certain steps. 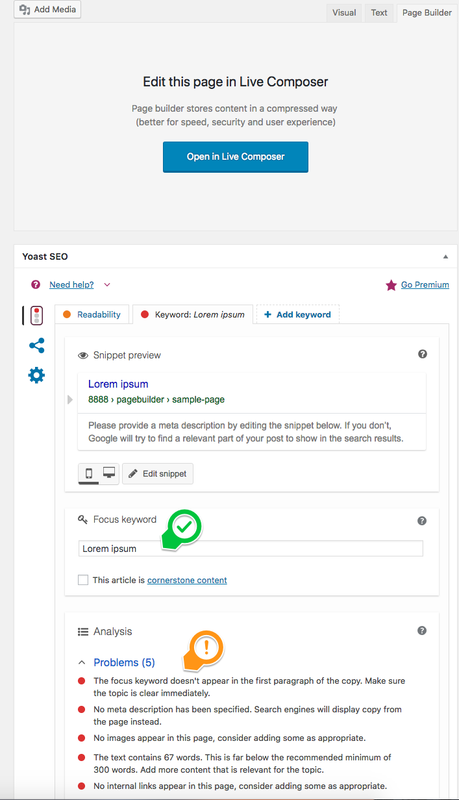 Install the Yoast SEO plugin from the WordPress repository. Go to WP Admin > Pages > Your page and click to edit. 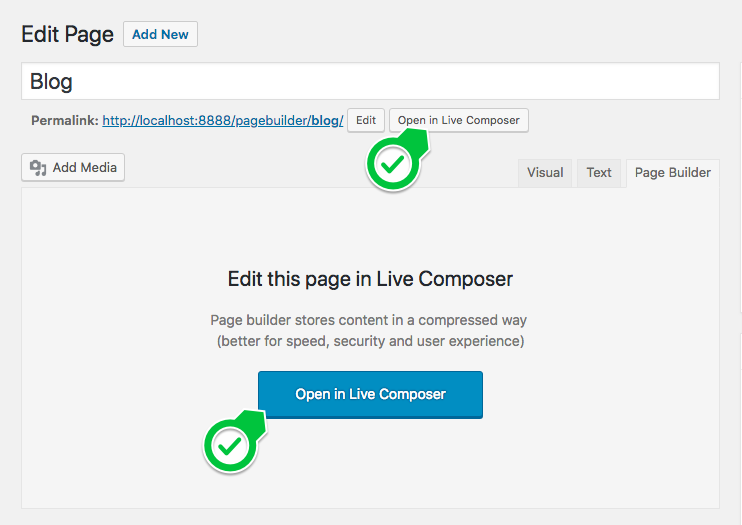 From the page editor, click on one of the two "Open in Live Composer" buttons. This way, you will have two pages opened in your browser. Like the note from screenshot says, any content alteration for SEO purposes need to be done in Live Composer. However, we need the backed to be still opened to can read the Yoast comments. Add your keyword in Live Composer and "Publish changes". Go back to the backend page editor and refresh the page from the browser refresh button. 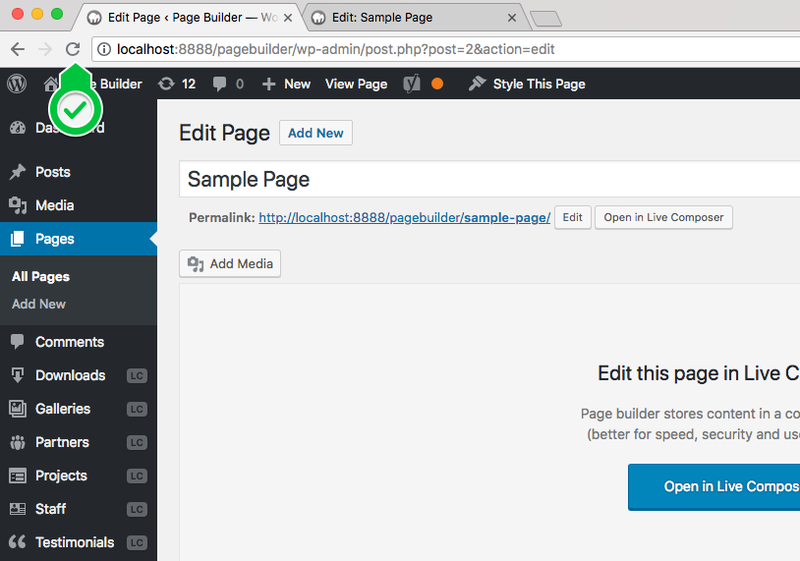 After making changes in the page Yoast fields, you need to update the page using the dedicated button from the WordPress page editor. However, you still need to refresh the page from editor to ensure the properly reading of the Live Composer content.